Danny Briere scores his 300th goal in style, with a 3rd period game winning buzzer beater. Florida Panthers set a record low attendance of 7311. Article explaining how much taxes that NHL players pay. Steven Stamkos put up the same amount of shots as the Buffalo Sabres on the same day. Boston Bruins sign Simon Gagne to a one-year $600k deal. Reddit user BetterCallStaal created a website to blare your team’s goal horn whenever you want! Jake Muzzin signs a 5-year $20 million contract extension with the LA Kings. Jonas Hiller makes 49 saves to defeat the Chicago Blackhawks. Semyon Varlamov is placed on injured reserve. Pascal Dupuis is hit with puck, taken off the ice on a stretcher. Brad Marchand spears P.K. Subban in the groin during their first rivalry game of the season. Milan Lucic is fined $5000 for sexual gesture at Montreal Canadiens’ crowd. Jiri Sakic Dad’s reaction to his first goal. [NSFW (blood, some gore): Martin Havlat gets hit hard into the boards versus the Washington Capitals, sustains a major laceration to his face. 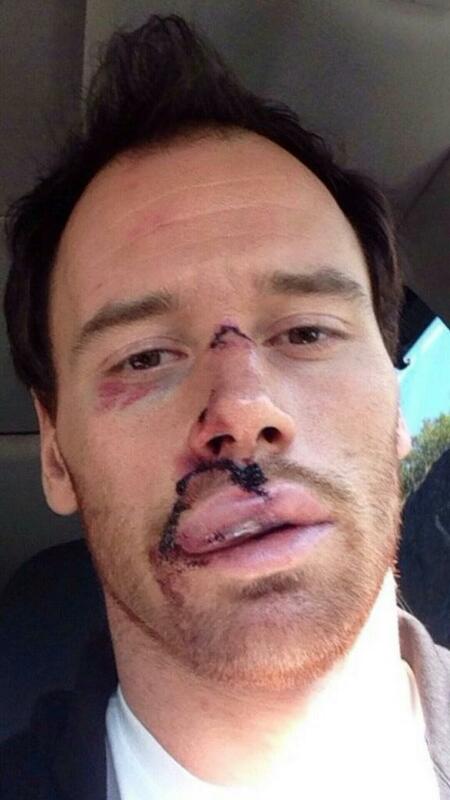 NSFW (blood, stitches): Picture of Martin Havlat after getting a few stitches. New York Islanders were 4-0-0 for the 3rd time in franchise history. John Tavares had his 4th straight multi-point game. Henrik Sedin, Daniel Sedin, and Radim Vrbata combined for a total of 17 points in their first 3 games. Vancouver Canucks sell-out streak is over at 474 games. The NHL announced that the Nashville Predators will host the 2016 All-Star game. Henrik Zetterberg gives the crowd and his wife a heart sign after his game-winning goal vs. The Toronto Maple Leafs.